My 1st Years has recently collaborated with reality TV star Binky Felstead for their new and exclusive With Love From Binky Collection. This is exciting news for creators Jonny Sitton and Daniel Price as they continue to grow the brand. The two best friends started the company in 2010 after trying to find a gift for one of their friends new baby girl. After they couldn’t find what they were looking for, they created their own pair of personalised shoes. It was then that they started their company. 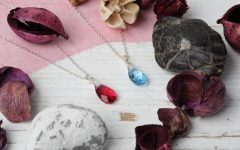 After other people began to notice their personalised gifts, the two friends were flooded with orders. My 1st Years have since expanded their brand to include other personalised items such as toys, blankets, pyjamas and much more. Which leads us to their newest endeavour with Binky Felstead. Binky Felstead first appeared on Made in Chelsea back in 2011 as one of the original cast members. After being on the show for 6 years, Binky has decided to move on and is now working on her own TV show, Born in Chelsea. This show documents the ending of her pregnancy and how she and on again and off again boyfriend Josh ‘JP’ Patterson adjust to parenthood. Binky herself said, “I feel that my time has come to a natural end seeing as the next big (grown up) chapter of my life is about to begin!”. We couldn’t think of a better way to transition to that next chapter than with her new collection with My 1st Years. Binky started working on her collection with My 1st Years while she was pregnant with her daughter India. It’s primarily an autumn/wintertime pyjama line with exclusive prints for both girls and boys. The girls’ pyjama line is a personalised pink crown pyjama set with a soft grey crown print across a pale pink background. The top also comes with a beautiful frill trimmed collar. For boys, the set is a soft grey and sky blue paint splash design. This set also has a large pocket that can be monogrammed with initials. Both the girls and boys sets are made of soft cotton to ensure maximum comfort and breathability. To top off the collection, there are matching bibs. For girls, the bibs feature the same style of print and a custom frill design to match the collar of the pyjamas. The boys’ bibs come in a three pack option. Their design differs with a bandana style with white towelling on the inside. While it still keeps to the grey and sky blue colour scheme, there is one darker charcoal grey bib included within the pack, which can also be personalised of course. Binky’s new line further adds to My 1st Year’s luxurious brand. Tons of celebrities children have been seen sporting My 1st Years including Prince George and Luna Legend (singer John Legend’s daughter). Other celebrities who have been given My 1st Years clothing include Elton John, the Kardashian family, and even former UK Prime Minister David Cameron. This is definitely a brand to keep your eye on when shopping for your little ones. 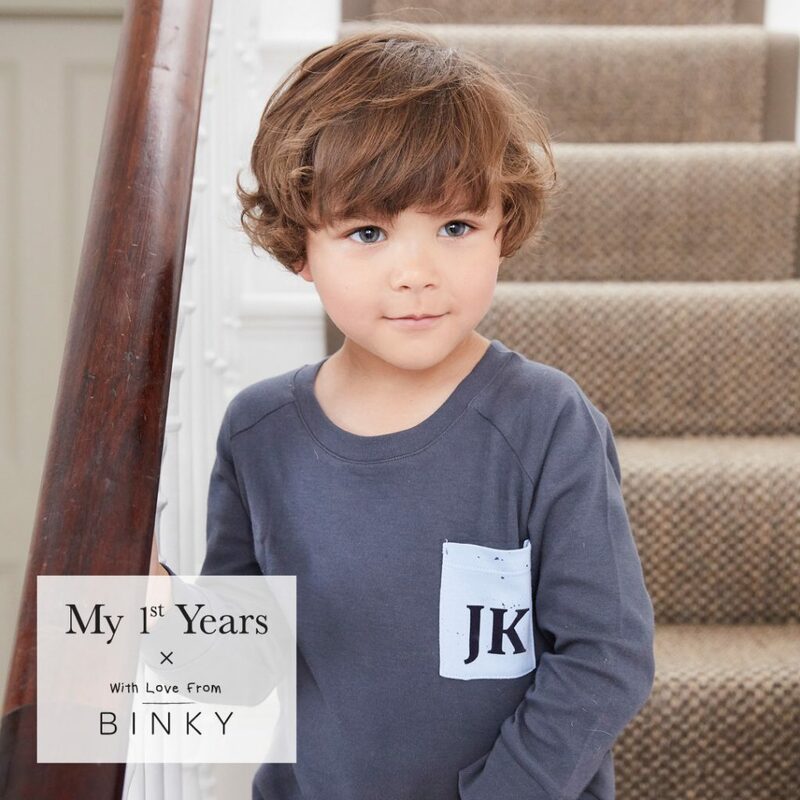 What will you be purchasing from the ‘With Love From Binky’ collection?